When a friend calls on a Sunday morning and says a combination of the phrases, “huge, estate sale, western memorabilia, and happening now” you can bet your bottom dollar that Slowhand and I got off of our asses and hightailed it across town to check it out stat. Let me tell you, it was beyond awesome. 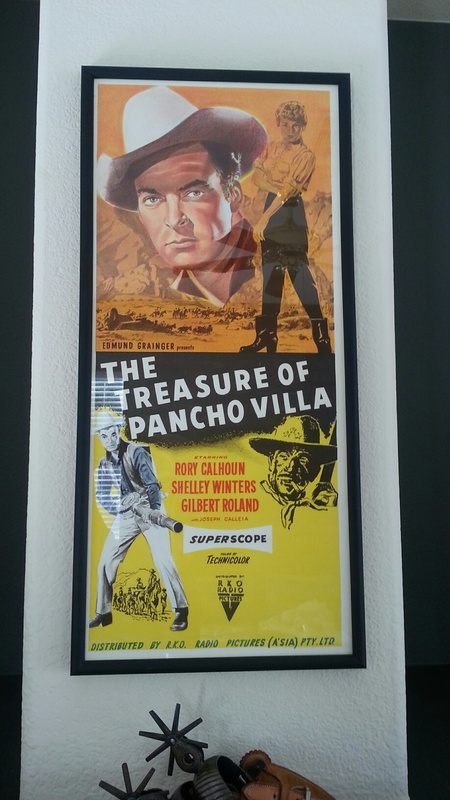 Every inch of the house inside and out was PACKED with western and movie memorabilia–posters, autographed photos, film props, southwest décor, books, records, tools, and many, many, many odds and ends. Needless to say, we didn’t leave empty handed. 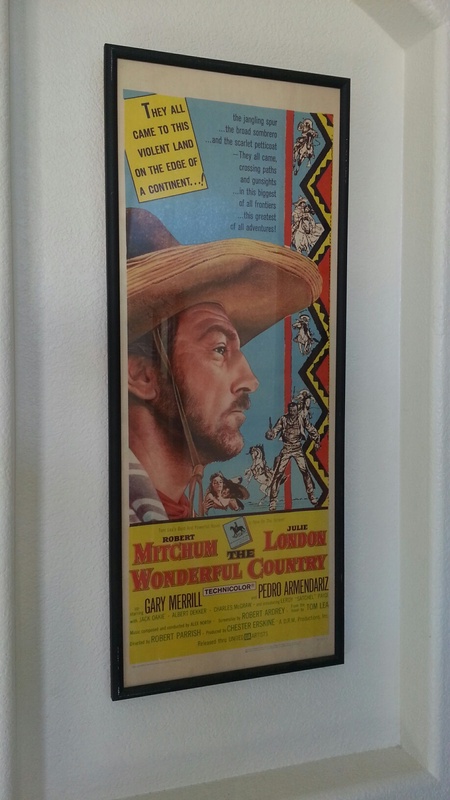 We scored a number of nicely framed movie posters. The sale went on for 3 weekends. We were there the first weekend and then I went back alone the last Saturday and Slowhand ended up there on the last Sunday. We got quite a bit of stuff–much more than what is pictured here. As I post more pictures of the house in the future, I’ll point out items that came from this sale. 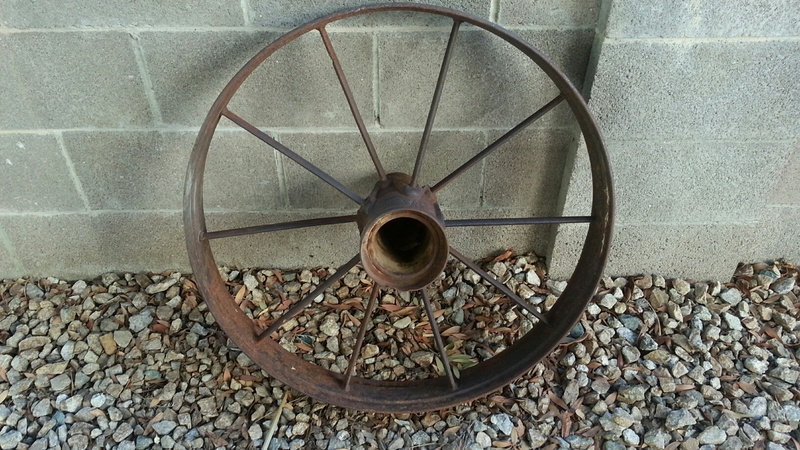 I have big plans for the wagon wheel and the little bench pictured above. I actually have a full-time job now, so I don’t have as much free time to devote towards working on house projects, but as I get to them, I will be sure to share! I love your finds! 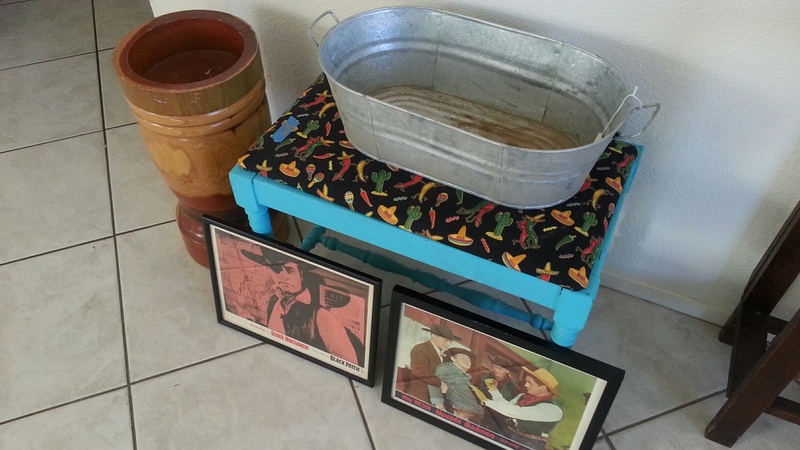 Check out my blog if you get a chance where i post my estate sale findd weekly.